In the Kara sea there is an island in the form of an anteater. Its territory is densely filled with fragments of machine parts and rusty barrels of fuel, which remained after the first wave of development of the Arctic territories of 1960-1970. Vilkitsky island was the next point on the map a great journey, and turned into a dump when supplied by the state objectives were met. The organization "Green Arctic" for the second year conducts expeditions to clean up the island of debris with the participation of volunteers from different countries. As part of Rosatom, there is one relatively small structural unit, the Affairs and prospects of which, without any exaggeration, is closely monitored not only by Russia but also by many countries of the world. Officially, the Arctic countries agreed to keep the Arctic zone free from geopolitical tensions, the Danish newspaper reminds. However, the region is rich in raw materials and has an invaluable strategic importance in terms of security policy. In addition, other countries have claims to the Arctic. 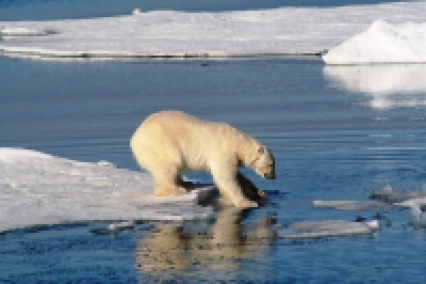 Danish experts are alarmed, first of all, by China's investments in Greenland. We offer you an essay of candidate of political Sciences, associate Professor of international studies Of the Institute of foreign Philology and regional studies of NEFU. M. K. Ammosov, N. S. Canada Division of the Institute of USA and Canada studies Maximova Dariani Dmitrievna. 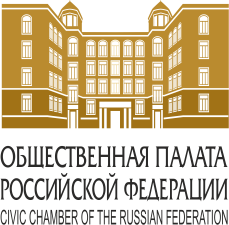 Essay was specially written for the Round table "the World in 2035: a view of youth", which was organized by IMEMO is the name of Yevgeny Primakov Russian Academy of Sciences, Centre of foreign policy cooperation name of Yevgeny Primakov and the Fund of support of public diplomacy name A. M. Gorchakov. First of all, this text is devoted to forecasting the development of international relations in the Arctic region in the coming decades. Baltiysky Zavod will receive a contract for two more icebreakers "Arctic"
Russian Prime Minister Dmitry Medvedev at a meeting at the Baltic Shipyard on November 28 in St. Petersburg announced his intention to extend the construction of a series of icebreakers of the project 22220 (“Arctic”). The Arctic region includes the Northern margins of the continents Eurasia and North America, the Arctic ocean with Islands, and adjacent parts of the Atlantic and Pacific oceans. The Arctic border on land coincides with the southern border of the tundra zone and with the July isotherm of 10°C (5°C - at sea). The total area is about 27 million km2. Sometimes the southern border of the region is taken by the Arctic circle (in this case, the area is 21 million km2). Today, August 3, the crews of two anti-submarine aircraft Il-38 airbase Association of the air force and air defense of the Northern fleet performed a planned flight to obtain information about the ice situation in the Barents sea and the Arctic ocean. The participants of the ninth Chinese Arctic scientific expedition on Friday on Board the research vessel "Xuelong" will go from Shanghai to the North pole. This became known at a press conference of the Chinese center for polar research. The government of the Russian Federation has submitted to the State Duma a bill aimed at developing cruise tourism in the Arctic and the Far East, follows from the database of the lower house of parliament. Russian ships of the ATU: the Northern Sea Route is preparing for a new "recharge"
The appearance at the disposal of Russia of promising icebreakers necessitates the creation of new vessels. The university of the Arctic will develop the program of the academic mobility for students of institutions of professional education from Russia and Norway which study reindeer breeding. The corresponding agreement is reached between the authorities of Yakutia and the University of the Arctic, the First Deputy Minister of Education and Science of the region Mikhail Prisyazhny has told. The St. Petersburg ship-building enterprise "Admiralty Shipyards" will be engaged in construction of the self-moving platform "North Pole" intended for researches and monitoring of the environment in the conditions of the Arctic. As writes bmpd, at the end of March of the current year the Government of the Russian Federation has approved the program of construction of the platform and has allocated 6,9 billion rubles for these purposes. Xi Jinping's administration has accurately designated intentions of China to expand influence in the Arctic and to strengthen sea positions in the Arctic Ocean, having for the first time published the White book on policy in this region. As Alaska fights against "digital inequality"
Northern regions are severe climatic conditions, extreme temperatures and inaccessibility of some places. In Russia such territories are understood as Far North, Yamal and some more regions. Ice pilots of the Arkhangelsk branch Federal State Unitary Enterprise Rosmorport Sergey Fokin and Alexander Silimyankin have executed ice pilot conducting on Northern Sea Route Route of the Eduard Toll gas tanker (a flag of the Bahamas) going from seaport Nakhodka in seaport Sabetta. Recently Public oceanographic administration and National committee on development and reforms have issued joint "The concept of sea cooperation in construction "Belts and ways" (further — "Concept"). The State Duma of the Russian Federation at a meeting on Wednesday has adopted in the final, third reading the bill of the exclusive right of vessels under the Russian flag on transportation of hydrocarbons across the Northern Sea Route (NSR). Summing up doesn't make sense without understanding of prospect. In the end of the year the president has made a number of statements which will exert impact on further development of Russia. Geopolitics is about the politics of space which includes its various characteristic e.g. location, size, natural resources, trade routes (both land and sea), economy and of course environmental conditions. In all classic theories of geopolitics, world has been divided into Heartland, Rimland and World Island and many areas have been identified and discussed as more important than others for various reasons. But, the Arctic has been totally ignored in all its geopolitical dimensions as we do not find any geopolitical mention of its size, location, trade route and resources etc. Borisov: Russia in the Arctic " will not miss his"